Authentic flavor is a start, but ethnic food ingredients now face the same scrutiny as their apple pie neighbors. Taco Bell reportedly has sold half a billion Doritos Locos Tacos since they were introduced in March 2012. That was the figure tossed out in August as the chain launched the third flavor (Fiery) of the co-branded taco. It's been nearly 50 years since the Frito-Lay Co. purchased the Doritos brand from a small Disney vendor doing business as Alex Foods. The success of Doritos (and how they have transformed the salty snack and condiment segments) speaks volumes about how ethnic foods have become big business. And mainstream. Today, ethnic food trends reflect the diverse ethnic mix of North America, and they are also influenced by broader factors such as nutrition, dietary and food sustainability concerns, and heightened consumer interests in cooking and cuisines. On the horizon, there may be an even more complex array of ethnic foods available in a wider variety of forms. However, for future consumers to embrace them, those foods will also need a clean label, a reasonable sodium count and certification demonstrating that they were produced carefully and thoughtfully without harm to the environment or exploitation of workers. "Ethnic cuisines are associated with healthy eating, and as Americans become more educated about food, they are experimenting, seeking out bolder flavors," says Magda Dziembowski, a marketing specialist at Kikkoman Foods, San Francisco. "There's definitely room for innovation among food manufacturers here." Ruiz Foods, Dinuba, Calif., was started in 1964, the same year that Frito-Lay acquired Doritos. It is now the market leader in Mexican-style frozen foods, selling burritos, snacks and entrees under the El Monterey brand in a variety of retail and foodservice channels. Ruiz Foods' president and CEO Rachel Cullen says other trends that dovetail with ethnic foods include the rampant popularity of hand-held foods. She says the types of ingredients used in Mexican foods have diversified as more consumers have grown up with authentic but American-made Mexican foods. "While no ingredients were 'off limits' 10-15 years ago, we have seen an increase in the consumer appeal of such items as chipotle and cilantro … even a touch of habanero," Cullen says. Ruiz Foods recently introduced El Monterey Shell Shocker Taquitos -- crunchy corn taquitos that are flavored on the outside (in Nacho Cheese and Jalapeno Ranch) with juicy chicken on the inside. "Authentic Mexican food has always used a wide range of spices and chiles," Cullen says. "With the continued growth of Mexican food in the U.S., as well as consumer's increasing desire for taste variety, we will continue to expand our repertoire of ingredients to deliver exciting, flavorful tastes that delight consumers." Among Flavorchem's most recent product introductions is a line of oils infused with herbs used in ethnic Asian, Middle Eastern and Latin American foods. If ethnic foods have only just reached the center aisles of the grocery store, the ethnic foods of the future may look quite a bit different than those we are familiar with today, and they will be immeasurably more complex and varied than those simple, lightly flavored tortilla chips were back in 1964. Most supermarkets in the U.S. feature an international foods aisle or a Latin food section, while others, particularly in more diverse markets, might be focused only on ethnic foods or specializing in one ethnicity. 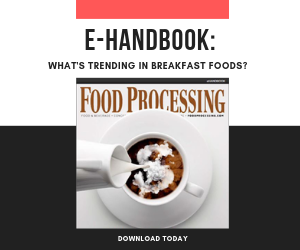 If current trends continue, however, ethnic-influenced foods will be found in nearly every part of the store, in family-owned or corporate restaurants, including the top fast food chains, and in nearly all segments of food and beverage manufacturing. While PepsiCo's, Frito-Lay division is dominant in savory snacks, one of the few competing brands it hasn't yet wolfed down is Takis, a spicy-hot salty snack manufactured and sold by Bracel, a division of Mexico's Grupo Bimbo. In taste tests (and even in the sales figures in certain markets), Takis gives Frito-Lay's Cheetos a run for the money. A competitor with a classic potato chip would have little chance of elbowing much shelf space from Fritos brands, but the authenticity and flavor intensity of Takis has given the product a foothold. And there's a lesson in that. Sriracha Sauce, unheard of by most American cooks a decade ago, is now in many pantries. Meanwhile, in Chicago, a group of marketing and craft beer experts recently launched an independent craft brewery whose innovative beer styles are made with flavors and ingredients drawing inspiration from Latin American cuisine. 5 Rabbit Brewing Co., Bedford Park, Ill., sells beers such as 5 Lizard wheat beer and Huitzi Midwinter Ale to traditional craft beer audiences as well as to restaurants making Latin and other ethnic foods. Ethnic flavors offer a consumer pull and a competitive advantage, so food manufacturers will continue to expand and overlay this niche. "Consumers follow trends, so when ordinary items are transformed with ethnic flavors, such as marinades or salad dressings, it becomes new and exciting," says Ed McIntosh, marketing manager at Flavorchem, Downers Grove Ill. "Savory and baked items are most impacted by these ethnic trends, which were primarily inspired by ethnic-fusion restaurant cuisine." Flavorchem produces a broad portfolio of flavor products that are used in a variety of foods and beverages. Among its most recent product introductions is a line of oils infused with herbs used in ethnic Asian, Middle Eastern and Latin American foods. The success of Flavorchem's new savory flavor line, which includes ethnic flavors, has inspired the company to publish its first recipe book with ethnic-style food applications. Kikkoman's Dziembowski agrees that ethnic foods will continue moving beyond their traditional definitions and into additional categories and all retail channels. "We have certainly seen a rise in ethnic flavors in regular mainstream items, such as snacks, condiments and even entrée selections in the frozen food aisle," she says. "Not only are new items like Greek yogurt, wasabi peas and sriracha hot chili sauce becoming prevalent on store shelves, but mainstream items are changing, too. Teriyaki flavored beef jerky has been around for some time, and now you can buy sriracha potato chips and chipotle dip." Kikkoman now offers Ponzu Citrus Seasoned Dressing & Sauce, Wasabi Sauce, Sriracha Hot Chili Sauce, Plum Sauce and other labor-saving sauces. Most of these are available both to consumers and in bulk for food manufacture and foodservice customers. In frozen foods, ethnic influences also have become more prevalent, and there are reflections of the fusion approach that began in culinary circles. Tandoor Chef, Union, N.J., claims to be the top brand of prepared Indian foods in the U.S. Among its most successful creations is a frozen pizza made with naan, the traditional hand stretched bread baked in tandoor ovens and served in Indian restaurants. Tandoor Chef's Naan Pizza line includes flavors made with pesto, cilantro, and mozzarella and basil. "The pizza and hand-held appetizers as well as lunch and single-serve dinner entrees have been greatly affected by the impact and success of Indian (prepared food) meals," says Mike Ryan, vice president of sales and marketing. "Sales in many of these categories are up, but consumers are now interested in seeking what's different, unique and new." An old cardinal rule in the food business is that if it doesn't taste good, no one will eat it. A somewhat younger rule is that if a product does not seem to be good for you, a growing portion of consumers will avoid it. Most of Tandoor Chef's products are vegan, organic and/or gluten-free, and all three of those descriptors are hot buttons – and exclusionary. Using ingredients that define or enhance ethnic authenticity and flavor is great, but that will be one step forward and two steps back if those ingredients alienate the consumer. Tomorrow's consumer will expect ethic foods that taste great and meet several other criteria as well, says Ryan. "GMO foods are FDA approved for commercial production, still, many health-conscious shoppers find the lack of rigorous, independent, scientific examination on the impact of consuming these foods to be cause for concern," says Ryan. For that reason, Tandoor Chef's lines are GMO-free. "A wide range of Indian food is historically vegetarian and vegan, which is why Tandoor Chef offers healthy cuisine in each of these categories," Ryan adds. While Tandoor Chef offers Jalapeno Naan Pizza, it also offers a restaurant-sized menu of classic Indian dishes including Chicken Biryani and Lamb Vindaloo. The company's website also has a wine and beer pairing tool that guides consumers toward an IPA for the Lamb Vindaloo or a Riesling to go with the Palak Paneer Samosa appetizer. Kikkoman's product line stems mostly from soy sauce, a fermented product that adds savory or umami flavor notes. For this reason the company has had a good deal of success in finding applications in a variety of food categories. It can offer the same benefits to makers of ethnic foods, and not just Asian ones. "Tortilla manufacturers apply our Preservative-Free Soy Sauce instead of salt, which adds flavor and umami, at the same time reducing sodium," says Dziembowski. At the same time, marketers of Asian foods must avoid consumer perceptions that such foods are always high in sodium, Dziembowski adds. To help with that, Kikkoman has developed products like Less Sodium Premium Total Nitrogen Soy Sauce. "There are also natural formulations of MSG replacements to boost flavors of ethnic foods – and all kinds of cuisines beyond Asian, too – which amp up flavors so that you don't need to add salt," Dziembowski says. GNT USA Inc., Tarrytown, N.Y., sells colors for all segments of the food and beverage industry. Those colors can play in important role in ethnic foods, the company says, and that can be achieved with all-natural selections. "Many of these foods rely heavily on flavors from peppers, which many times also provide color and texture," says CEO Stefan Hake. "With this in mind, formulating ethnic foods and beverages with natural colors, which can help bring the color of the main ingredient to life, is often very important. "Color provides the groundwork for the consumer to instantly connect with the flavor being used. Fortunately, natural colors from fruits and vegetables provide the full spectrum of color shades to match any flavor profile and are particularly well suited to matching a Latin flavor profiles." It was first pointed out, way back in 1992, that salsa sales had surpassed those of ketchup. So it is no surprise to hear Ruiz's Cullen suggest that Mexican food is no longer on the cutting edge of ethnic trends. "If Mexican food isn't an American mainstream food yet it is certainly very close to becoming one," she says. "Today, it is a readily available food choice: fast food, casual dining, upscale restaurants, grocery stores everywhere, and it is a choice enjoyed by consumers everywhere." That familiarity with Mexican foods has led to an interest in Peruvian and Brazilian cuisines, just as the familiarity with American-Chinese food (and the growth of other Asian populations in the U.S.) has spurred interest in more specific Asian foods, Cullen notes. "You see regional distinctions being made, like Mandarin and Szechuan in Chinese cuisine," she says. "Korean food has also seen tremendous growth in popularity alongside Japanese, Thai, Vietnamese and Indian. Recently, we've been seeing a lot of mention of Peruvian food. Peruvian food has a heavy influence from Chinese and Japanese cooking; it's a natural fit since these regions tend to favor fresh vegetables, seafood and rich, complex flavors." A recent article in an advertising trade magazine noted that 65 different video ads were made by Youtube content creators to accompany the introduction of the Doritos Locos Tacos Fiery. That certainly sounds like a lot of ammunition, and the kind that gets deployed when a big company believes it has a sure thing on its hands. Ethnic foods offer this kind of opportunity, and the food industry seems ready with the ingredients and the innovations needed to take advantage of it. Those little tortilla chips have come a long way since 1964.